When Cristian asked me if I’d be the photographer for one of the biggest moments in his life, I was truly humbled. He is one of the most outstanding humans on this planet and his partner-in-crime Liana, one of the sweetest! He set the scene to me over email: it would appear to Lee that they were going on one of their regular anniversary picnics, where dating for them first began…except he had a few tricks up his sleeve. 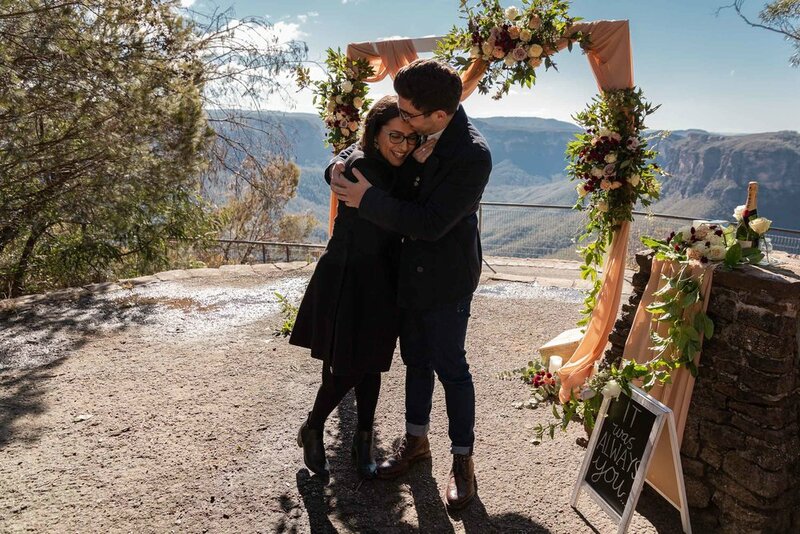 Both his immediate family as well as hers would be hiding in the bushes, waiting for the big reveal and atop Evans Lookout, they would become engaged under a beautiful arbour. Proposal in your near future? I’d love to be a part of the big day, especially if it’s as adventurous as these two beautiful people! Let me hear your story!